Preheat oven to 450° F. Brush pizza crust with oil. 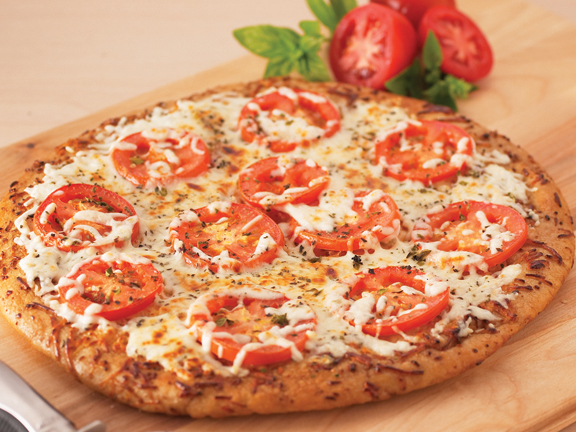 Arrange tomato slices on crust. Sprinkle with basil and cheeses. Bake on ungreased cookie sheet 8 – 10 minutes or until crust is crisp and cheese melted.